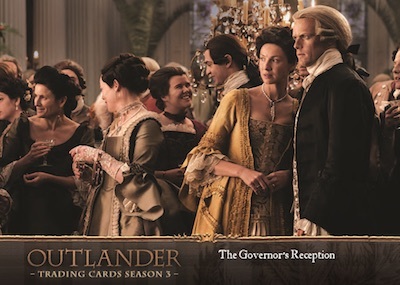 Once again catering to the devoted Outlander fan base, 2019 Cryptozoic Outlander Season 3 details the third year of the Starz series for card collectors. Strong fan interest has made both sets into hits, and the same is expected for the third edition. Just like Season 1 and Season 2, each Hobby box averages one autograph and one wardrobe relic. 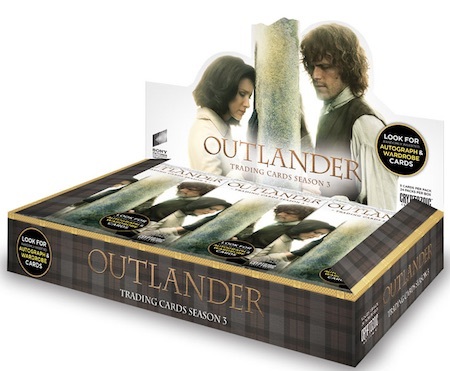 Offering different timelines within the romantic drama, Cryptozoic Outlander Season 3 summaries all 13 episodes from 2017 with a 72-card base set. 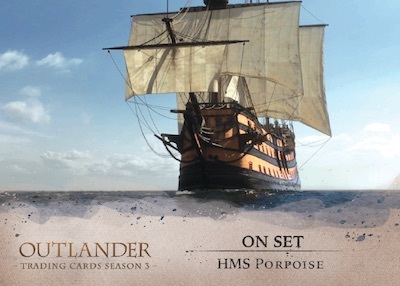 In addition, there are multiple insert sets to build, including Characters (1:3 packs), Key Art Puzzle (1:6 packs), On Set (1:3 packs), The Skye Boat Song (1:3 packs), and A. Malcolm Folding card (1:96 packs). 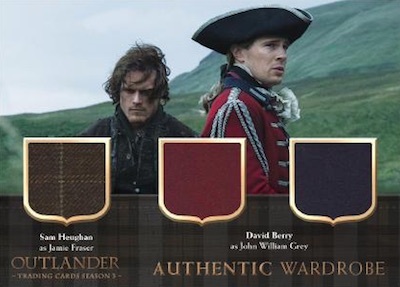 Also available for the base cards and inserts (Characters/On Set/Skye Boat Song) are Canvas Stock (1:3 packs), Gold Fraser Crest (1:8 packs) and Red Fraser Crest (1:30 packs) parallels, plus rare one-of-one Printing Plates (1:256 packs) used in the production of the trading cards. 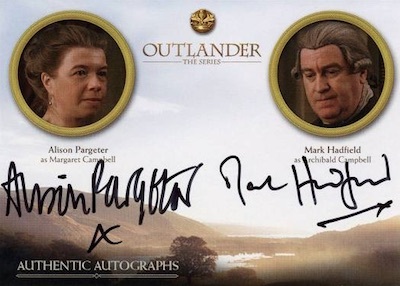 Concentrating on the stars of the show, the 2018 Cryptozoic Outlander Season 3 checklist includes Autograph cards from the cast and Authentic Wardrobe Relics featuring actual pieces from the costumes. 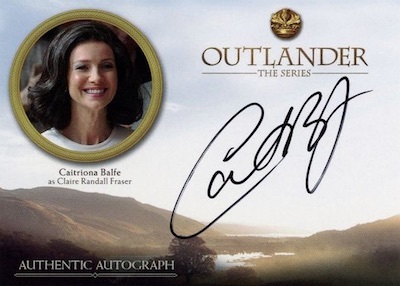 The end result should be one signed card and one relic card per box. 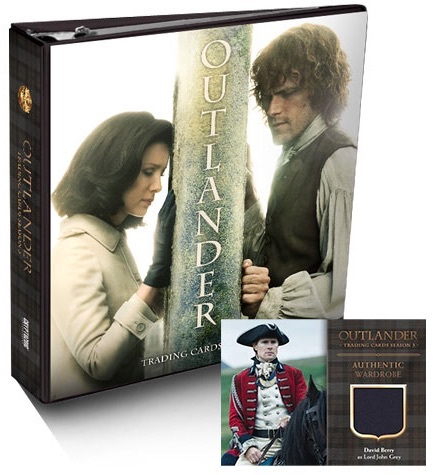 For those who like to use something nice to display their cards, there is also a 2018 Cryptozoic Outlander Season 3 binder with an exclusive wardrobe card. 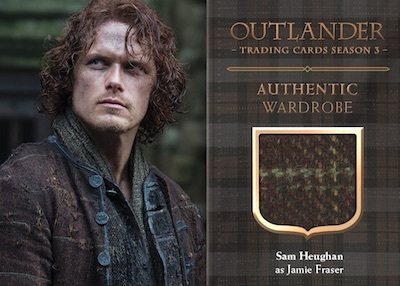 *PARALLEL CARDS*: Canvas Stock, Gold Fraser Crest, Red Fraser Crest #/50, Printing Plates 1/1. 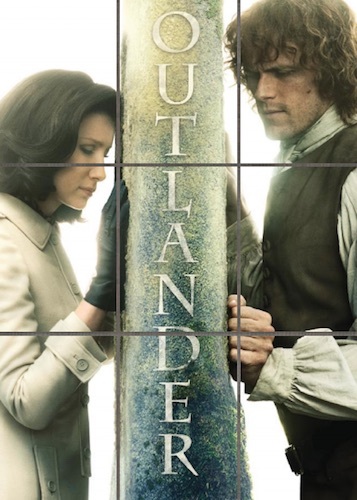 Buy Outlander Season 3 autographs on eBay. 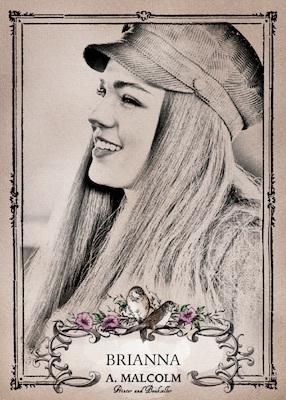 21 cards. Autographs combine to fall 1:24 packs. 2 cards. Autographs combine to fall 1:24 packs. 6 cards. Not in regular packs. 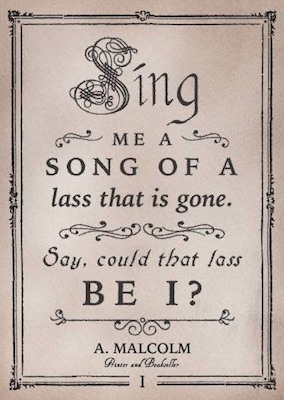 Not issued in standard packs.